From 9 to 14 April 2019, catch top players compete for the US$355,000 prize purse. This prestigious event is organised by the Singapore Badminton Association and is part of the HSBC BWF World Tour and is a Super 500 event. Watch the nail-biting rallies and the heart stopping smashes live, as this is an event Badminton aficionados would not want to miss! Early bird prices from now till 28 Feb, don't miss out! 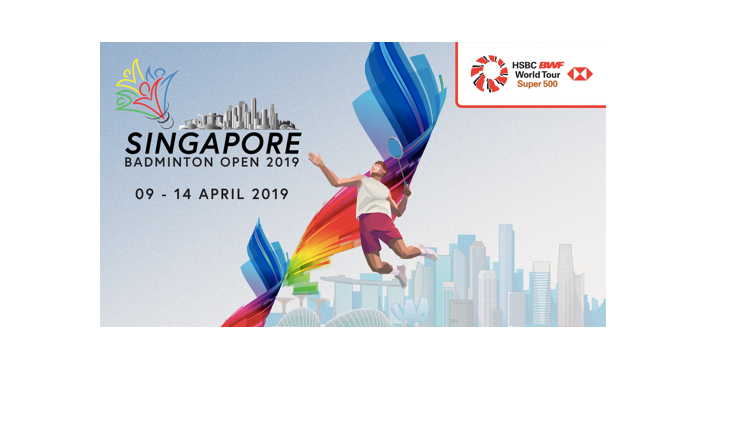 For more details visit Singapore Badminton Open 2019 website.